Eighteen Seconds Before Sunrise | Separated by a common language. A few days later I looked around on the internet for information on this band. I thought if I could only find this moving song I could die in musical peace. To my dismay, when I set out to find this “untitled” song I wasn’t aware of the entire album of songs by Sigur Ros entitled, “Untitled.” Even more strange was the title of the album itself “()”. I went to a music store last night with the mission of being able to scrounge up a copy of the new Wolf Parade CD. Some emo jerk was standing in the W section so I stopped abruptly and turned to look at the closest CDs (I figured he’d move out of my way quickly enough). I turned to face the newest Sigur Ros CD. I flipped through more albums to find the illusive () album. “Heck. Yes.” I muttered in my head. It was time to find my song. I ended up walking out of the store one CD richer than I had anticipated, but I figured, what the hell, let’s get a treat! I opened the bizarre packaging only to find a blank white CD. I cracked my new jem out of the case only to notice a rather ghostly () logo on the CD. CREEEEEEEPY, but really beautiful. I put the CD in only to have it unable to play. Oddly enough after several moments of struggle and disk changes, out flew the gentle yet haunting music of Sigur Ros. I think that sums it up. Do yourself a favor and check them out. Their music is just amazing! I love your description of ‘sad memories after dark’! I’ve played () so many times that it’s skipping so bad i can barely get through a whole song without it skipping. It’s amazing though, how much you can do with untangeable lyrics, but a somber almost uplifting nose emerging from the speakers. Amazing is all i can say. 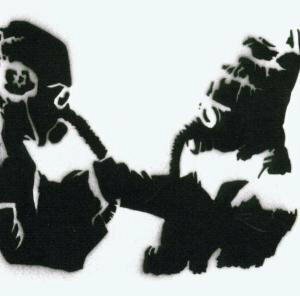 I love Sigur Ros. If you enjoy them, you should really check out their other albums. They just released their newest one, Takk…, and its very good. Although it has a very different tone than “()”. Their previous album (before “()”) was called Agaetis Byrjun, and is also very good. I have not yet purchased their debut album, Von, but I hear it is very eclectic and many people have mixed opinions on it. 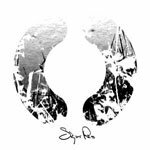 You should also check out their official fan site, http://www.sigur-ros.co.uk, because they’ve got a huge download page there with live tracks and tracks from their other albums. If you’re more tech-oriented, you can ftp to their ftp server, which is listed on the fansite, for more tracks.